A new Department of Energy-funded study conducted by researchers from Penn State University finds that methane leakage rates from natural gas wells and other infrastructure in the Northeast Marcellus Shale are roughly 0.4 percent of production. This is just the latest peer-reviewed study finding methane leakage rates well below the threshold for natural gas to maintain its climate benefits over other traditional fuel alternatives. The following chart shows studies that have comprehensively evaluated natural gas systems. 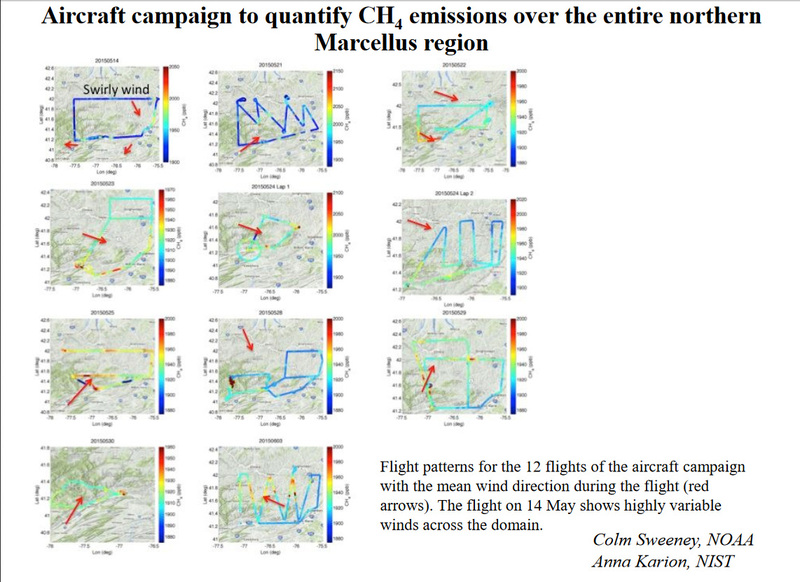 Researchers used a combination of methods to come to their conclusions – gathering samples from stationary towers that continually collected emissions readings over a two-year period and also performing a series of 12 aerial flyovers in May 2015. 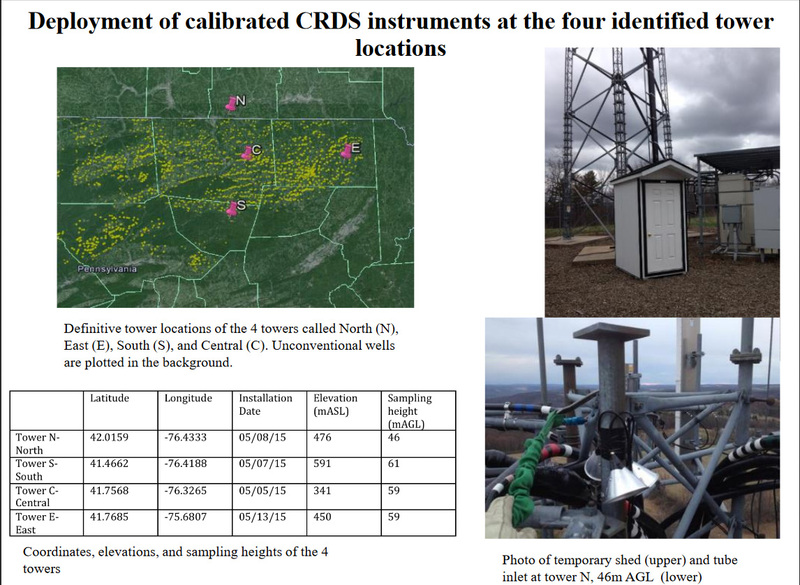 Researchers noted during a webinar presentation of the study’s preliminary findings in July 2017 that it was the first time long-term continuous sampling of methane from natural gas activities had occurred, and that most existing studies that use aircraft data only sample for a limited number of days, usually only one to two, and often show a higher leakage rate. Including more days allows researchers to collect more accurate data, because emissions can be higher or lower on a given day, and can also be impacted by emissions plumes from other regions. The following images from the webinar show where those towers were located and the path and location for each of the aircraft data collections. 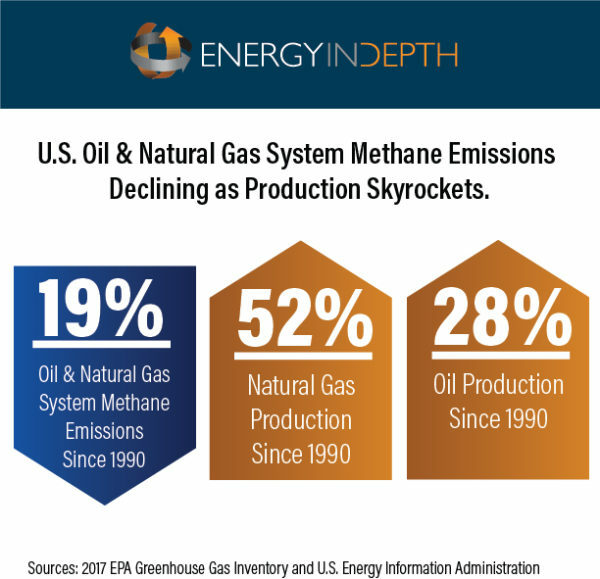 In fact, the Appalachian Basin (Marcellus and Utica shales) has been experiencing significant reductions in methane emissions in recent years overall, according to the Environmental Protection Agency’s (EPA) latest Greenhouse Gas Reporting Program (GHGRP) data. The most recent GHGRP data shows methane emissions from natural gas systems dropped 3.5 percent in 2016 and by 63 percent from 2011 to 2016. And while Marcellus methane leakage rates may be incredibly low, that in no way implies that these rates are high elsewhere. 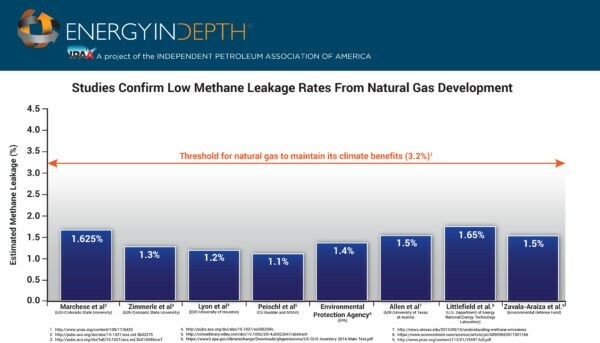 EPA’s recent Inventory of U.S. Greenhouse Gas Emissions and Sinks showed U.S. natural gas systems had a methane leakage rate of 1.2 percent in 2015 – which is 30 percent lower than global average. Overall, EPA data show that these emissions have plummeted since 1990 at the same time production has skyrocketed. Marcellus Shale production is helping the Commonwealth to lower carbon emissions with $10.5 billion worth of new power natural gas-fired power plant investments, and as this latest study shows – those benefits aren’t even close to being cancelled out by methane emissions from record production.